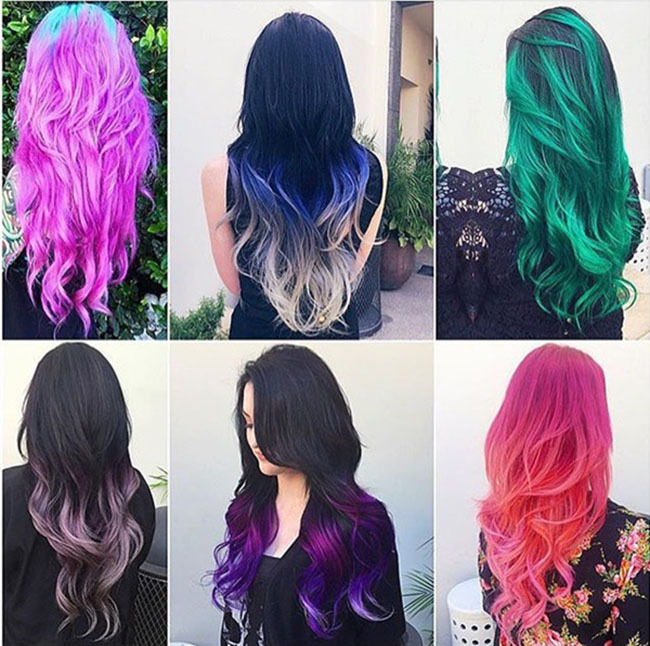 Colorful hairstyle is being more and more dramatic and trendy. You can choose whatever shades you like for your look nowadays. Hair dye is a work in need of experience. That’s why your hairdresser charge you so much. But you can cultivate yourself with the skill as you learn how to dye your hair. The key is to learn how to pick the right colors and dye hair properly, of course, the experience will come after your practicing with time. And you’ll be an expert as good as your hairdressers. Before learning how to dye your hair, you need to know about how to choose the right color for your hair whether it is balanced against your skin and eyes. The colors of you skin and eyes are the factors of how to choose a right hair color. The most important factors relate to your hair color is the skin tone. If the hair color you chose didn’t match to your kin, it is noticeable to your families or friends. Below is a chart of skin tone and hair color, you can tell and find out your skin tone, then choose what is the right color to you. The second factor for choosing a hair color is the eye color. Usually the blue eyes will suit pale hair colors, green eyes will look great with red hair. Brown eyes suit chocolate and beige shades, etc. To achieve your professional hair look, you need to use the tools that your hairdressers use. With the proper tools, you can get better look and you can make dyes easier and happier. Color can’t remove color – hair that is dyed already, can’t be lightened with more dye. When hair is lightened, warm tones are revealed – use a cooler dye to counteract this. When pale hair is dyed dark, ash tones become prominent – use a warmer dye in this case. Once you’ve picked up your right color, you need to know that. If your hair has been dyed before, adding more hair dye on your hair can not lighten it. You can dye it darker but not lighten dye with dye. So if you want to go lighter your hair, you’ll need to bleach it, not dye again. Hair dye can lift a maximum of 3 levels, so it is not suggested to dye you hair more than 3 levels. If you do want to change the color, bleach it first. If you want to dye your hair lighter, choose a dye that is a littler cooler-toned than the color you want. This is necessary to counteract warm tones that appear during lightening. If you apply the exact color you desire, you may find that the warm tones that are revealed during lightening which will look too warm in result. Likewise, if you apply a shade that is much darker than your current color, pick the shade that is slightly warmer to your desire. 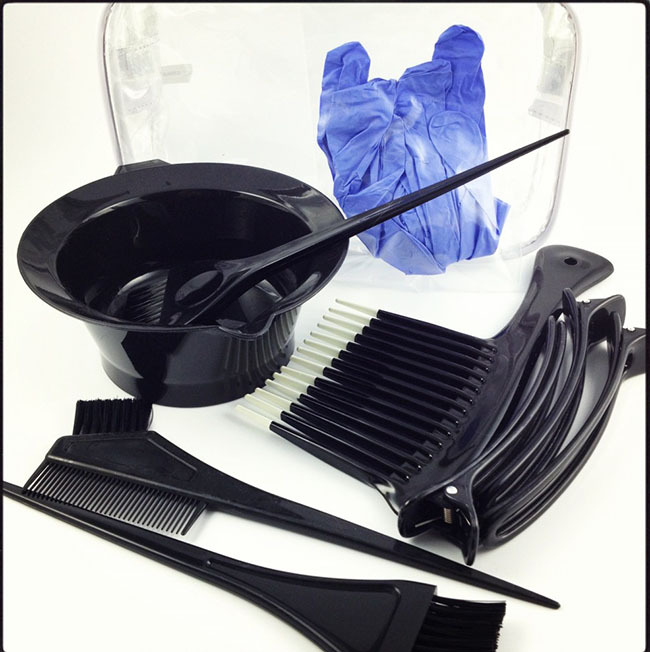 Before you start to apply the dye, have all the equipment set up, sectioning your hair properly. Dividing your hair into four separate quadrants. Using the tail-comb to part it from forehead to the nape of your neck. Divide it again to get four section of hair to work with. Then you can mix up the hair dye and begin applying it. Hair dye needs to be mixed with developer in order to work. The developer is hydrogen peroxide, and this is what gives the lightening of the dye when you dye your hair lighter, and also what makes the dye permanent by oxidizing the dye molecules. When you mix a dye up, the developer needs to match your intended action. 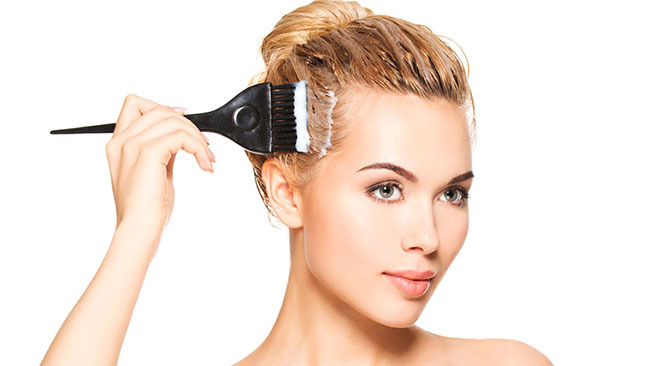 To lighten hair, you need to use a higher volume of developer. You can use 20 vol for up to 2 levels of lift, or 30 vol for up to 3 levels of lift. High lift dyes are mixed with 40 vol developer to give a maximum of 4 levels of lift. In this sense, if the color you desire is two levels lighter than your current color, you will need to use 20 vol developer to lighten your natural color enough to dye it that shade. You will also need to use 20 vol developer if you are working with hair that is gray or resistant to color. If you’re dyeing your hair darker or using a tone-on-tone color to tone your hair, you can use 10 vol peroxide because you don’t need lightening power here. Demi-permanent dyes are mixed with 5 – 7 vol peroxide depending on manufacturer. To convert the volume of peroxide to a percentage should you require it, each 3 percent hydrogen peroxide is equivalent to 10 vol. This means that 10 vol developer is 3 percent, and 40 vol developer is 12 percent. 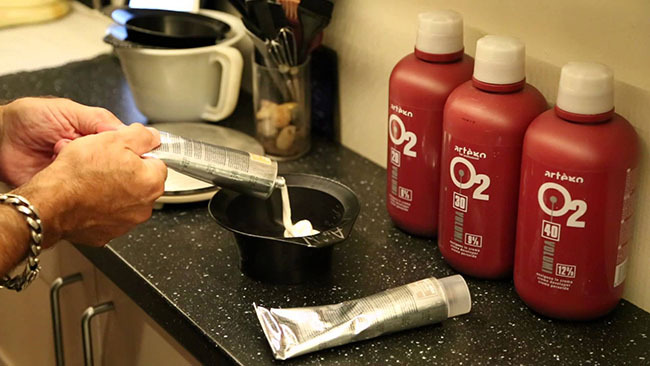 Mix the hair dye in a 1 to 1 ratio of hair dye to developer. High lift dyes require a 1 to 2 ratio of high lift dye to 40 vol developer. Very rarely, the manufacturer may vary this ratio, in which case you should check the ratio on the color’s instructions. After mixing the hair dye together with developer, we should start to applying it properly. The developer starts a reaction once it is mixed, so we need to apply it to the hair asap. Apply the hair section by section. 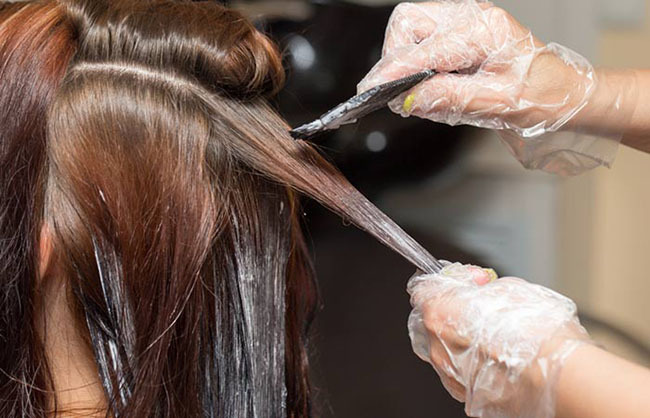 Using the tail of the comb to take the thin layers from the top of the first section hair, brushing hair dye over each layer from top to bottom, repeat it for sure that your hair has been completely covered. Usually it will take 20-45 minutes to process for the hair dye. After that, you can wash your hair to clean out the rest of the hair dye. The best part of dyeing hair yourself is that you can be yourself and reflect the inner beauty. If you don’t to dye the hair youselfe, of course, you can dye in the salon or just buy some Trendy Tape in Hair Extension to apply on. Life is too short to have boring hair! Have fun with hair dyeing.